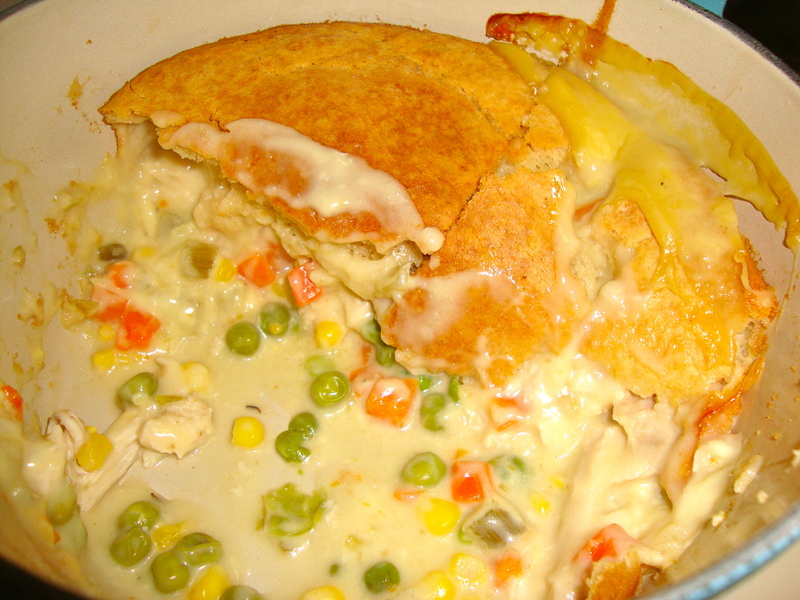 I distinctly remember the first time I ate chicken pot pie. My sister’s best friend’s mother (thanks Jane!) 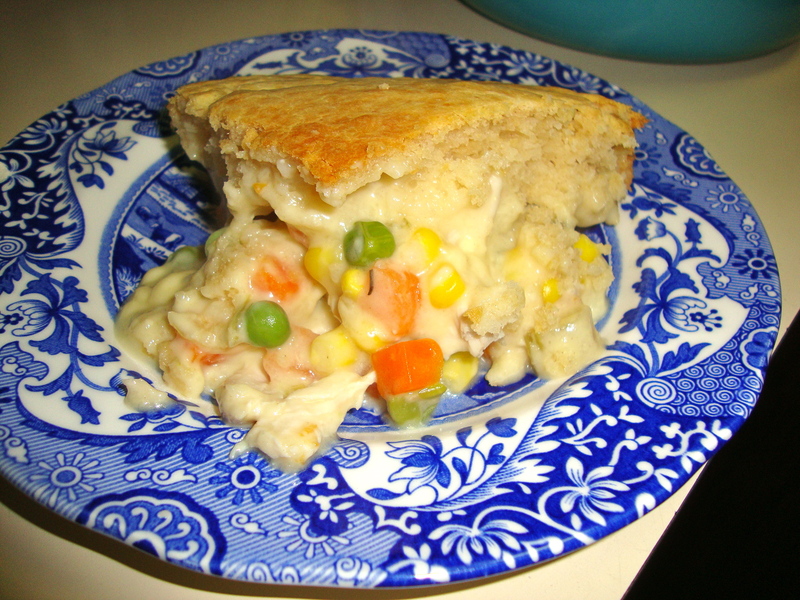 dropped off some chicken pot pie and I fell in love with the comforting combo of warm bread, gooey chicken, and even those unfamiliar (at the time) items called vegetables. With the cold weather and busy days filled with holiday joy this is the perfect time to make an easy yet delicious dinner for you and your loved ones. This recipe was given to me by my mother, but her friend Sue gave it to her. I will DEFINITELY be adding this to my repertoire. It was so easy to put together and tasted just like it should. I thought it would be a lot more work but this was fabulous. 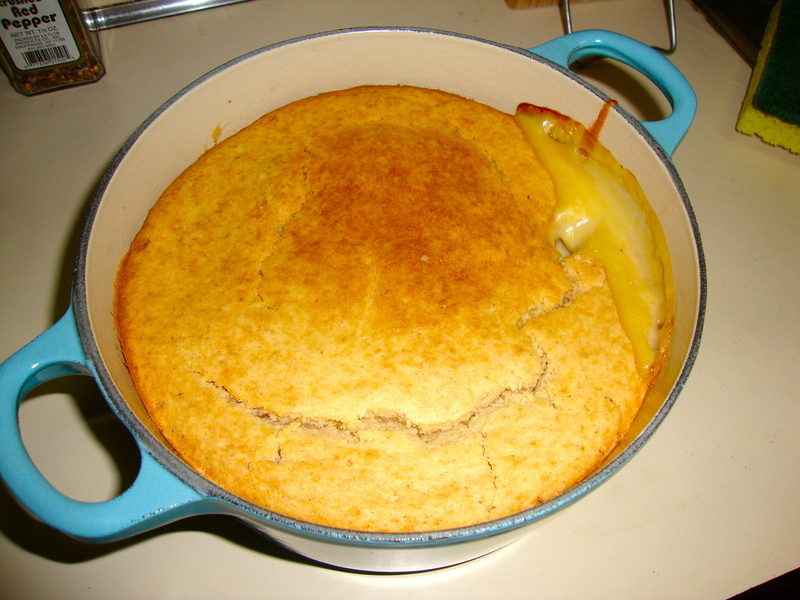 Grease an oven proof casserole dish or even a 9 by 9 pan, with butter. Spread chicken and veggies along bottom. Pour mix of chicken stock and celery soup over the chicken and veggies. Mix the Bisquick, melted butter, and milk. Add more Bisquick or more milk until you get a thick batter that can be spooned and spread over the top of the dish. Bake at 400, uncovered for 50 to 60 minutes. Check after 50 minutes; it should be bubbling and nice and brown when done. ps. Thanks Nicole for the Cuisinart dish!